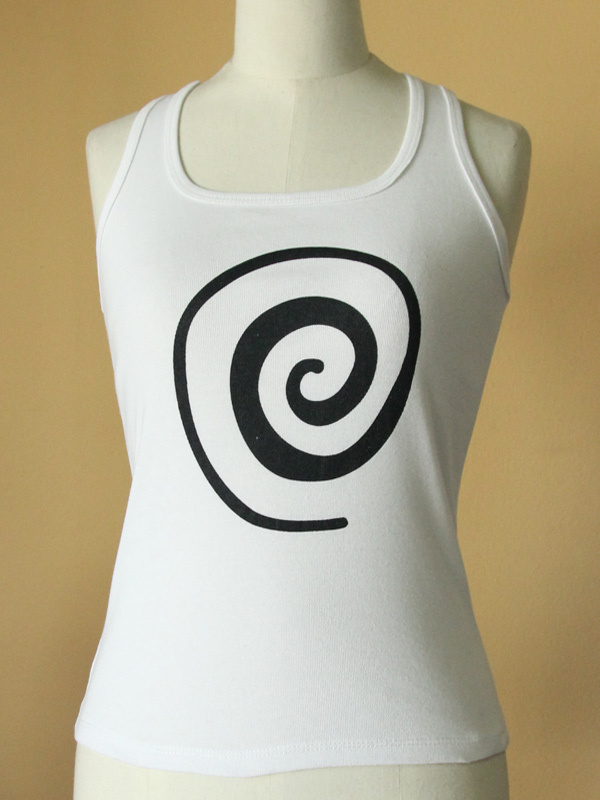 100% cotton slim-strap sleeveless with silk-screen one symbol spiral. I absolutely love this top. The fit is perfect and the material is oh so comfortable. It is my new go to yoga top.